A ‘must have’ if your car is on the T Register. 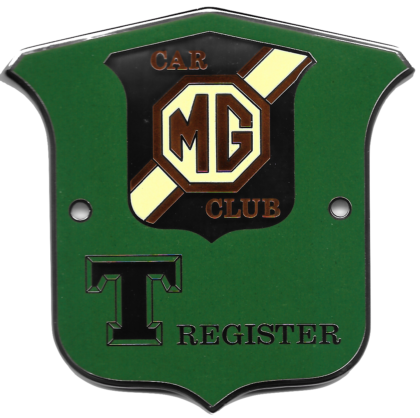 We order these badges in batches of 50 and include a badge bar mounting plinth For this popular item the price we charge is virtually cost price for the benefit of members. Fine bone china T Register mugs, made in the UK, showing either the TA/TB, TC, TD or TF, with the T Register logo on the reverse. The mugs are individually boxed, and cost £7.50 each, plus P&P A set of the four mugs costs £28.00, plus P&P. 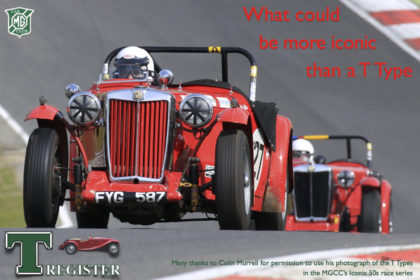 This is a poster of the backdrop we used for our stand at MG Live this year using a great photograph by Colin Murrell, the MGCC’s race photographer. The poster is 23in x 16in in size, printed on A2 220gsm semi gloss paper, so they will fit in either a common imperial size frame or in a metric A2 frame if you wish to mount it. The cost for posting and packing in a cardboard tube will be advised on order. 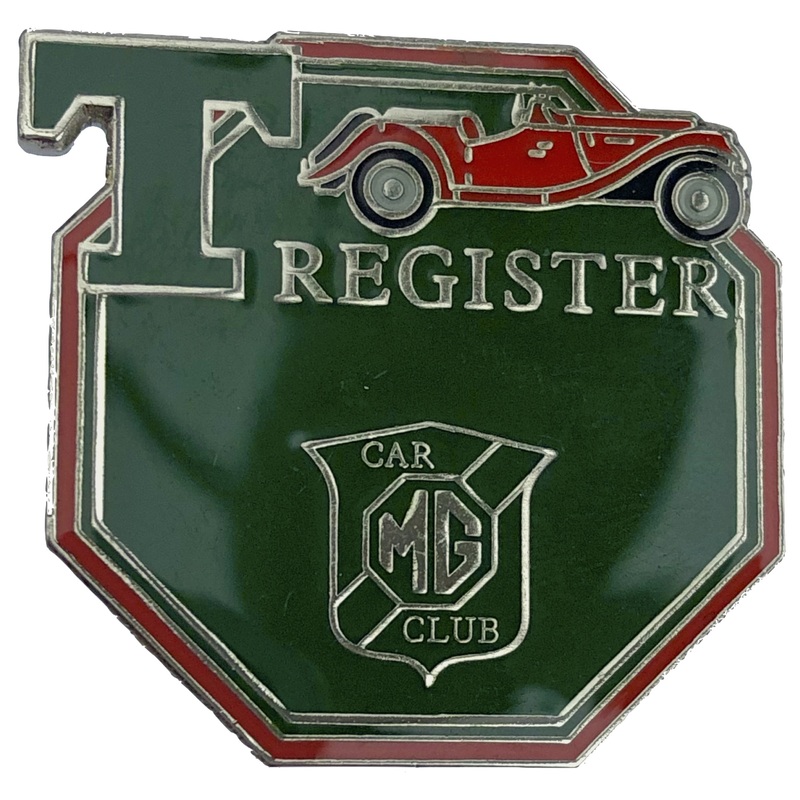 This is a new attractive enamel pin badge produced in the UK in the Birmingham Jewellery Quarter and features a T Type of one of our members. The size is 25mm x 25mm and fastens by a pin with a slide-on clip.